Are you shy? Maybe your T-cells are to blame! T-cells are the body’s immune warriors. They fight off invaders and keep you healthy! But what if your army of cells is short a few good men? You might get sick, sure, but are there other surprising consequences? University of Virginia scientists got some mice, removed T-cells from half, and gave all the mice a choice: Meet a new friend or go to an empty room. Healthy mice mostly socialized. Mice with fewer T-cells however did NOT care. They spent equal time with the friend and the empty room. This a-social trait is associated with autism. However, T-cells do not live in the brain, where social behavior is controlled. So where’s the connection? Researchers narrowed it down to one protein– interferon gamma. 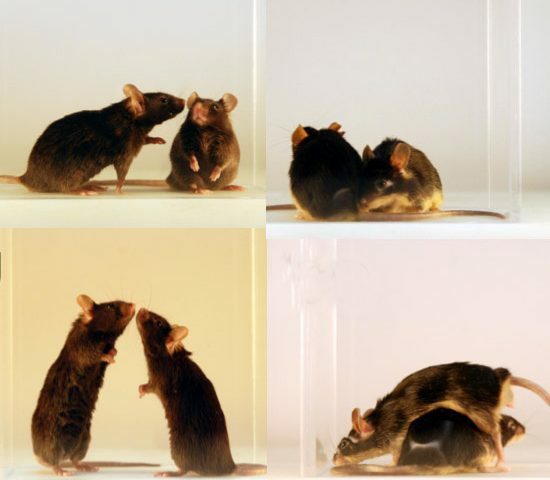 They removed the protein from T-cells then put those T-cells back into socially broken mice. And–? The mice remained a-social! Probable cause? A lack of interferon gamma! So if you’re staying in on Saturday night watching “Game of Thrones,” you’re not anti-social – it’s a T-cell thing!